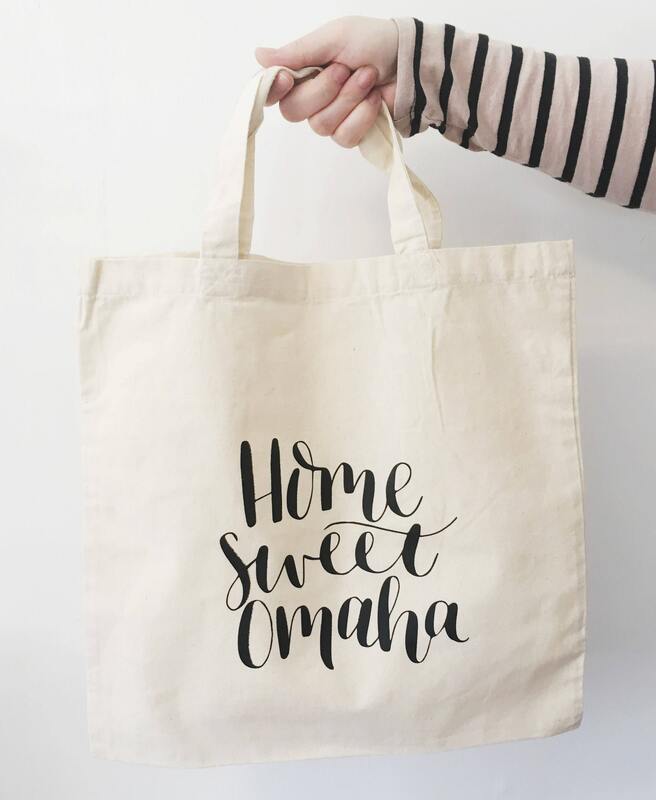 Show your love for Omaha everywhere you go! Perfect for toting around your fresh farmers market finds, pool side gear or picnic lunches during the summer. 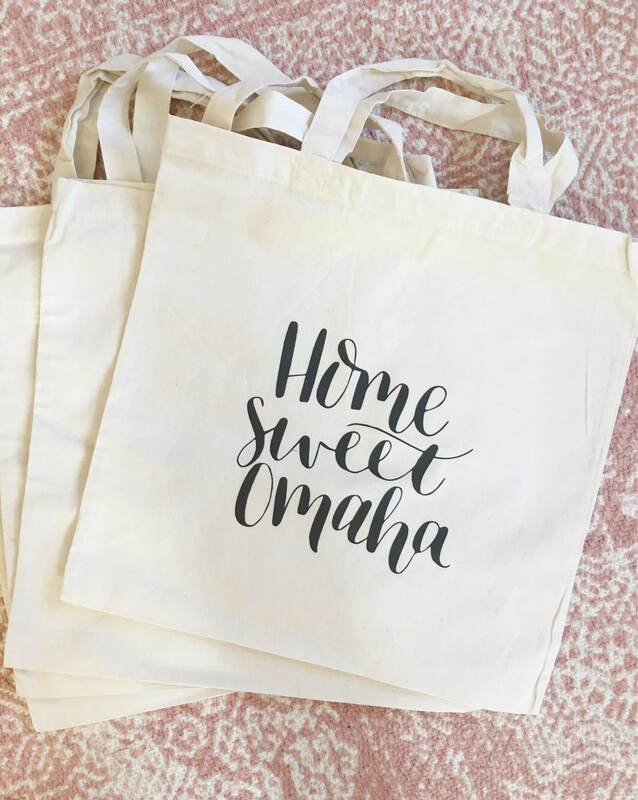 This listing is for a 13.5" x 14.25" canvas tote featuring my original calligraphy design "Home Sweet Omaha” The design is screenprinted on a 100% cotton bag, which is machine washable.